With all of the different diet plans available, you might be wondering, "What are some guidelines to evaluate the safety and efficacy of a new diet plan?" This is one of the most important questions you can ask when considering going on a diet. Discovering the difference between healthy and unhealthy guidelines to evaluate a new diet plan can help you lose weight in a safe and healthy manner. Diets run the gamut from controlled and/or low calorie diets to low carb diets. Other diet plans claim all you need to do is take their miracle supplements. Still others tout meal replacement, the elimination of an entire food group or subsisting on only a few different foods for long periods of time. When you look at the sheer number of diets recommended for weight loss, it's easy to get confused and takes us back to the question: "What are some guidelines to evaluate the safety and efficacy of a new diet plan?" How do you know you've chosen a safe and effective diet plan? Fortunately, there are a number of common sense checks you can make to assure the diet plan you decide on is safe and effective. The following guidelines will help you select a diet plan that is both sensible and effective. Does the diet plan you are evaluating promise amazing results very quickly? How much weight does it say you can lose in a week, a month, or a year? A hallmark of safe and effective diet plans is that weight loss is slow and steady. 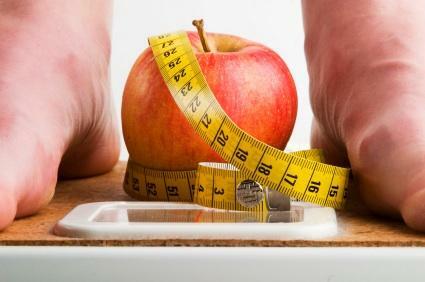 A safe rate of weight loss is one to two pounds per week. Be wary of any diet plan that promises you will lose more than this. While one to two pounds per week may seem like a slow rate of loss, especially when you are chomping at the bit to lose excess weight, losing more than this can have detrimental effects on your body. Rapid weight loss is almost always made up of water and lean body mass. When you lose weight beyond about one to two pounds per week, lean body mass, which includes everything in your body that isn't fat such as organs and muscle tissue, is sacrificed. When this happens, you will find your weight loss quickly grind to a halt, and maybe even reverse itself. That's because lean body mass is what burns fuel. In other words, lean body mass burns calories. If you are on a diet that causes loss of lean body mass through rapid weight loss, then your body will require fewer and fewer calories as more lean body mass is lost. This can become a vicious and unhealthy cycle that leads to yo-yo dieting. Instead, choose a plan that leads to slow, steady loss of one to two pounds per week and no more. Does it Restrict Certain Foods? A number of diets call for the elimination of an entire food group or, conversely, require you to only eat a few different foods. Most of these diets are nutritionally limited and can lead to vitamin and mineral deficiencies. Choose a diet that recommends balanced eating across all food groups, in order to stay healthy and vital as you lose weight. Does it Claim that Dieting and Exercise Aren't Necessary to Lose Weight? No matter what a diet plan promises you, the bottom line is that in order to lose weight, you must eat fewer calories than your body burns. Many "miracle supplements" promise amazing results without dieting or exercise, but people have learned time and time again that these supplements just can't deliver on their promise. While some ingredients have been shown to increase fat burning, the increase in fat burning is usually minimal -- around 60 extra calories per day. Try miracle supplements if you wish, but don't rely on them to do the entire job. Instead, choose a diet plan that recommends healthy, controlled calorie nutrition and moderate exercise. Does it Severely Limit Calories? Very low calorie diets (under about 1500 calories a day for women and 1800 calories a day for men) can cause a whole host of diet disasters. While you initially lose weight on severely calorie restricted diets, eventually it becomes nearly impossible to lose weight, and your weight loss may even reverse itself. That's because your body has a certain number of calories it requires on a daily basis just to sustain bodily functions like respiration and circulation. Severe caloric restriction can cause your metabolism to slow down, making it extremely difficult to stick to a diet because you are so hungry. The problem is that your body requires less and less food. Select a diet plan that satiates you while providing adequate nutrition and enough calories to keep your body functioning at its peak.When evaluating diets for safety and efficacy, keep the above in mind. If you are still in doubt, it doesn't hurt to discuss potential diets with your personal health care provider or nutritionist. By following a safe and effective diet, you will be well on your way to better health in no time.